Do you like honey? And Do you like CBD? What if we tell you that your two most favorite things in the world come together now! Yes, the manufacturers have launched a new product that is guaranteed to win the hearts of people and will soon find its way into the kitchen. We are talking about the CBD honey. This wonderful product that has now entered the market is already creating a buzz among people. Both CBD and honey have amazing health benefits and when these two come together it makes up a super healthy food. Honey is the sugary substance that is created by the bees from the nectar of flowers. It is more like a jam that is full of anti-oxidants. These anti-oxidants present in honey are beneficial for various functions in our body. For example Honey’s antioxidants help to lower blood pressure. The people who suffer from diabetes often have to refrain from sugar, for them, honey is a better option than refined sugar. Honey’s health benefits are many, it helps in the reduction of a cough & cold incidence, lowers cholesterol, and it also promotes fast healing of the wound. Now, coming to CBD, this cannabinoid of the marijuana plant is an elixir for several diseases. CBD is a natural compound that occurs in the marijuana plant and is one of the 113 cannabinoids. In the past also the marijuana plant was often used for its medicinal properties and most of the medicinal properties of weed can be attributed to the CBD. It is the non-psychoactive component of the weed that comes with all the wonderful health benefits minus the euphoric feeling. CBD’s amazing effect on several health problems comes from the fact that it mimics the human body’s natural cannabinoid compounds. These natural cannabinoid compounds are responsible for the driving of Endocannabinoid System (ES). The ES system plays the role of regulating some important functions in our body, the disturbance of which are often the cause of diseases. Why the buzz with CBD honey? When you get the health benefits of both honey and CBD along with the delicious taste of honey, who can say no to it? Plus honey is a food item that can be used in a variety of ways. It can be had with your morning tea, as a bread spread, in dishes, fruit juice and everyone’s favorite: with pancakes. 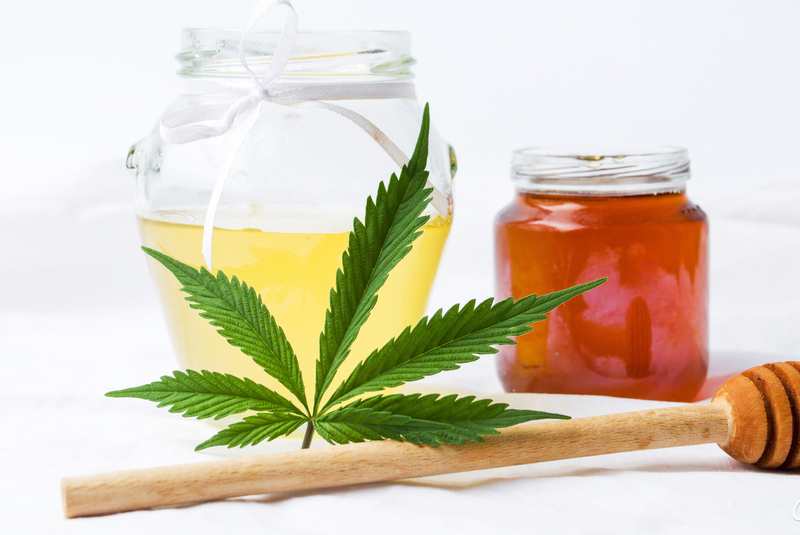 Mixing CBD with honey makes it easy for the people who want to consume CBD to manage their conditions. And if you are still not convinced then grab a bottle of CBD honey and have it. It won’t take much time for you to decide that this is the CBD product that you were looking for. It is good for the taste buds, makes you feel energetic plus improves your digestion. CBD honey is a great option for people who are looking for reducing their sugar intake. It makes for a wonderful alternative to sugar and can be put anywhere you would normally put sugar. You can create special recipes with your CBD honey and if you get too confused on matters regarding where to put and how to cook with it, just have it straight out of the jar. Since its CBD which is mixed with the honey, you need not worry about getting high. CBD is not a psychoactive substance like THC, so you will be able to enjoy all the benefits of the cannabis without getting stoned. When you decide to purchase the CBD honey just be a little careful! While a genuine CBD honey comes with all the great benefits we discussed so far, the fake CBD honey will not do any good, on contrary, it may harm you. Yes, while buying CBD honey you have to meticulously check for all the signs about its genuineness. The best thing, in this case, is to always go for well-known companies and reputed brands. CBD honey is a super-healthy product. This may help you achieve good health and will make you feel energetic again. The only downfall to this amazing product may be the difficulty to resist having it more since it’s so delicious!